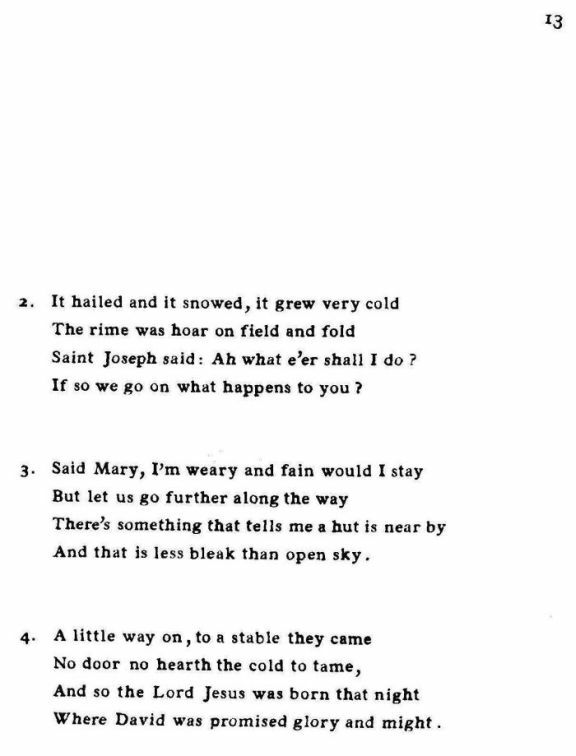 Source: Richard Runciman Terry, Two Hundred Folk Carols (London: Burns Oates & Washbourne Limited, 1933), Carol #116, pp. 12-13. And bring her secure to Christmas Day. Saint Joseph said: Ah what e'er shall I do? If so we go on what happens to you? And that is less bleak than open sky. Where David was promised glory and might. 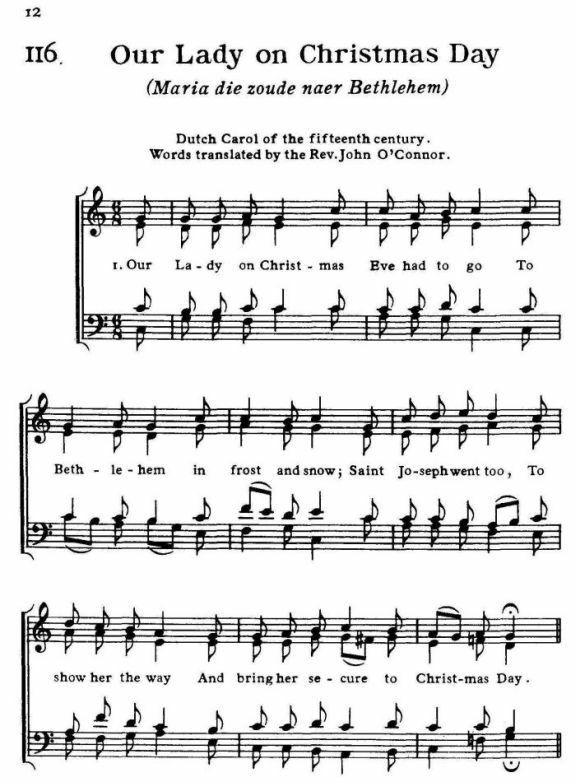 Sheet Music from Richard Runciman Terry, Two Hundred Folk Carols (London: Burns Oates & Washbourne Limited, 1933), Carol #116, pp. 12-13.